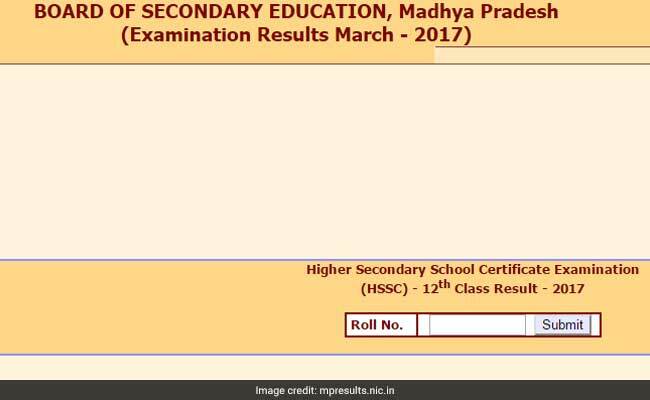 Madhya Pradesh Board Of Secondary Education (MPBSE) is expected to declare the 10th class or secondary school supplementary examination results July 2017 on the official website of the board anytime soon. New Delhi: Board Of Secondary Education, Madhya Pradesh (MPBSE) is expected to declare the 10th class or secondary school supplementary examination results July 2017 on the official website of the board anytime soon. The MPBSE board has declared the 12th Class supplementary and 12th Vocational Exam Chance- II results 2017 on the official website, mpbse.nic.in on last August 5. Secondary School Certificate SSC or class 10 supplementary examination was held on July this year. The board had earlier released the Class 12 regular results on May 12 along with the class 10 results. When contacted earlier about the MPBSE class 10 and Class 12 supplementary results, an official from MPBSE had confirmed to NDTV that the results of both class 10 and class 12 exams would be released before August 20. Step One: Go to the official website of Board Of Secondary Education, Madhya Pradesh (MPBSE), mpbse.nic.in. In the regular results declared on last May, girls outshone boys in terms of passing percentage in both standard 10th and 12th examinations conducted by the MPBSE. Note: The MP Board class 10 supplementary results will be declared on mpbse.nic.in as the class 12 supplementary results. But the students are also advised to track mpresults.nic.in for the updates.